This fun circular design is made to commemorate an impressive birding lifelist. 700 species is a lot! 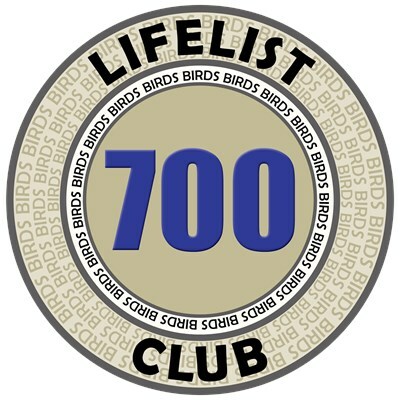 Bold text lays out the idea: LIFELIST 700 CLUB while smaller, text circles the design: BIRDS BIRDS BIRDS. This badge-style design is done in bold lines and clear text. To order by phone, call toll-free at 1-877-809-1659 from Monday - Saturday 9:00am - 9:00pm EST. You'll need to note the Product Number 030-1235425710 to make your order.